To tell the truth or not? That question proves the splintering wedge for a young couple who find themselves stuck in “A Dog’s House” of their own making. 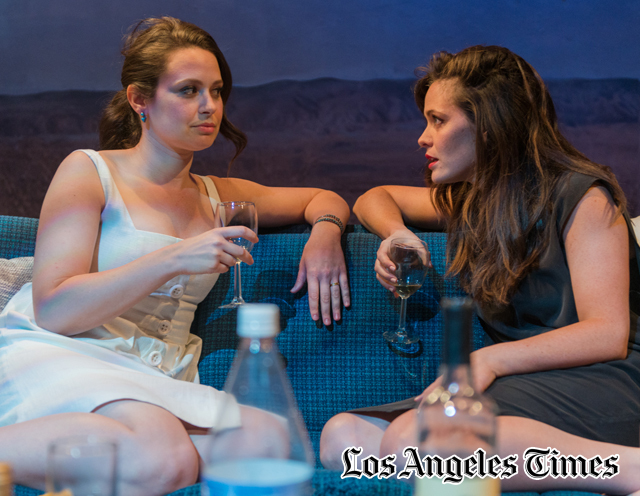 In a spirited staging from IAMA Theatre Company, Micah Schraft’s engaging new play at Hollywood’s Elephant Theatre explores the reality checks that force lovers to look past their romantic illusions. The precipitating event is a beloved Rottweiler’s lethal attack on a neighbor’s poodle, and the resulting moral dilemmas faced by the owners. Michael and Eden (Graham Sibley and Christine Woods), a couple who met through an online dating site, discover how little they really know each other as they wrestle with whether to tell the poodle owners what became of their missing pooch. 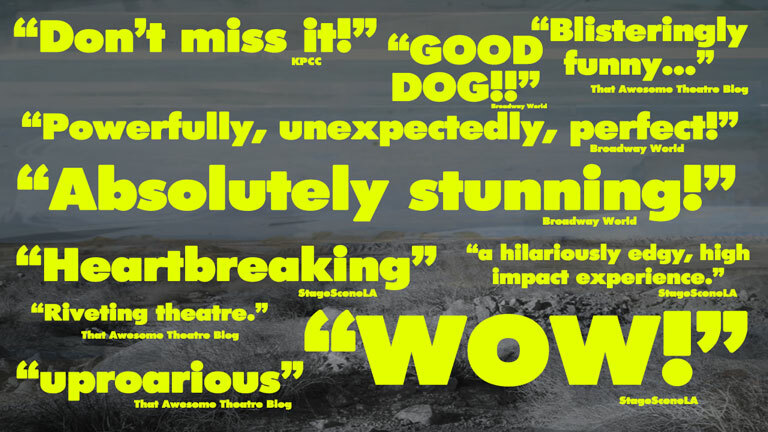 Though the attack dog, Jock, remains artfully concealed in Trip Cullman’s staging, his presence is very much felt as playwright Schraft and a committed cast take the potential for pets to become surrogate children to darkly comic excess. Though wracked with guilt over his dog’s crime, confrontation-averse Michael ducks responsibility and defers to Eden’s brazen lies as they try to placate their frantic neighbors. Frayed relationship seams are just as evident in the second couple, hot-headed alcoholic Bill (Dean Chekvala) and his passive-aggressive homebody wife (‘Scandal’s’ Katie Lowes, alternating with her IAMA co-founder Amy Rosoff). Targeting a young audience with hip, snappy dialogue and contemporary sensibilities, Schraft’s narrative efficiency drops us in medias res into Michael and Eden’s quandary. Although their initial rapid-fire volleys could benefit from additional timing polish, once the other couple shows up the momentum never falters as defenses roll over and self-deceptions get banished to the doghouse. “A Dog’s House,” Elephant Theatre, 6322 Santa Monica Blvd., Hollywood. 8 p.m. Fridays and Saturdays, 7 p.m. Sundays. Ends April 26. $25. www.iamatheatre.com. Running time: 1 hours, 40 minutes.